One of the best bits of advice we give our clients is about effective networking. This is really the first step to a successful job search process, but often overlooked. This week, the Video of the Week expands upon unconventional networking. Organizational psychologist Tanya Menon addresses how we can get out of our narrow social circles with similar people and why expanding our networks through unconventional networking can lead to new ideas and opportunities. This week is the fourth and final part of our series on building your network in just 15 minutes per week. By the end of this week, you should be much farther in your effort to cultivate your network, based on just an hour of effort. This week, we’re going to go back to the list of 10 people you came up with as initial targets to contact. 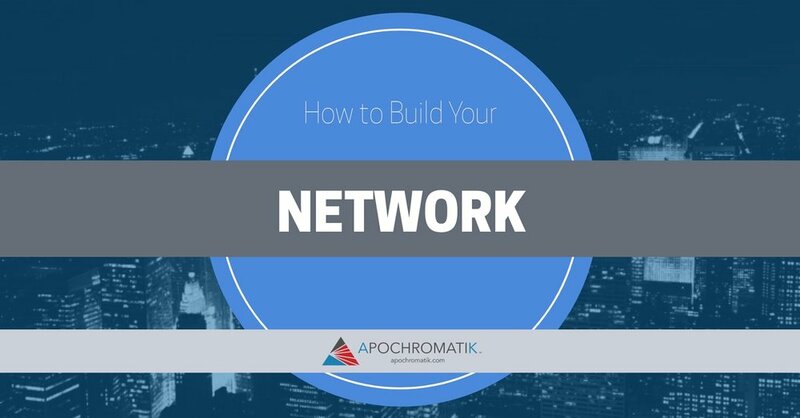 As promised, this week we’re addressing a question we’ve been asked several times recently: how can you build a network when you don’t have one and don’t have any time? 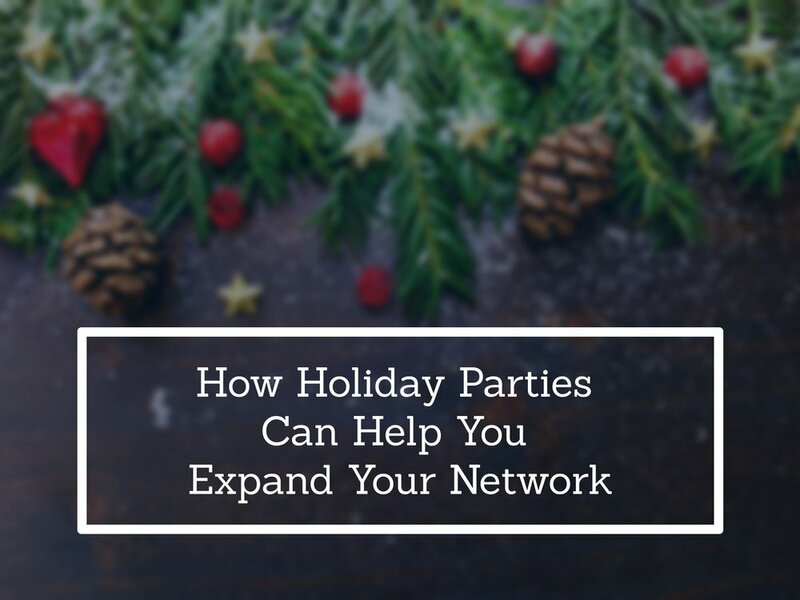 Whether you love everything about networking opportunities or started sweating just reading the title of this post, December can be a great time to expand and deepen your network. Here are some tips to do just that (and avoid the alternative scenarios that are the stuff of office gossip everywhere). This topic is so important and so fraught with peril that has been addressed by numerous people over the years. No one blog post can fully exhaust it, but our goal is to get you ready in 1,400 words or less. First, know why you were invited. Was it because you are an employee and it’s your office party? Because you are a current or prospective client? Once you have that in mind, recognize that it is undoubtedly not because you are hungry or thirsty. In other words, this is not the time to skip lunch – you’ll want to eat a snack beforehand and not arrive on an empty stomach. This is also not the time to see if you can in fact eat your weight in shrimp. (Before you think “Obviously,” I once watched a man at a reception at a Chicago law firm attended by multiple federal judges and other movers and shakers eat MORE than 30 pieces of hand-rolled sushi during the keynote speech.) And it goes without saying that if you do consume alcohol, it should be in moderation. Once you know why you were invited, think about why you decided to go. Is it because you want to show support for a friend’s venture? Meet new people? Reconnect with business contacts? If you’re thinking “because I have to,” you probably don’t. Surely if you were in bed with pneumonia you would not be expected to go, so think about why you are choosing to go. Maybe it’s because you would rather be seen as an engaged employee than one who does not want to spend time with coworkers, or maybe it’s because you know your career will benefit from expanding your network. Whatever the reason for your choice to go, keep that in mind as you prepare and attend. Next, it’s time to prepare. If you can get a copy of the guest list, great. This is more likely if the event is one hosted by your employer or if the host has left the guest list public on Paperless Post or Evite. Even if the list is not easily available, you can always plan on getting there early, scanning the nametag table (if there is one) and getting the lay of the land that way. Mark time off your calendar for the morning after the event to follow up with the people you meet at the event. If you are not sure of the dress code, ask the host or coworkers who have attended in the past. If all else fails, check photos of the event from last year. (They can often be found on the host firm/organization’s website, in their newsletter, on their Facebook page or Twitter, or in professional publications.) In general, though, if the event is after work, a dressier version of what you wear to work is usually fine. (When in doubt, a black suit with holiday accessories – tie and snazzy pocket square for men, bright jewel colored shell for women and more festive jewelry or shoes, will be fine for nearly every after work event.) Remember that if you’re overdressed, you can always remove your suit jacket, and during December, so many people have to go to two events in one night that if you are overdressed, people will likely assume you’re headed to another party or needed to dress up for work. For women, if you are more comfortable wearing a dress than a suit, that’s almost always fine too. Just keep in mind that you are there for the purpose you decided earlier – not to see and be seen, or to make a fashion statement unless that’s your industry. Be sure to have enough business cards, and not the frayed ones from the bottom of your bag. Instead, put your business cards in a business card holder that looks professional and fits in your pocket. Be able to check your coat and bag – put your wallet and business card holder in your pockets, and have a dollar or two handy so you can tip the coat check person, if that’s expected. Practice your “elevator speech” – how you will introduce yourself to new people. Within just a couple of sentences, you want to be able to explain who you are and what you do. In other words, when someone says “And what do you do?” you should be ready to answer in a way that doesn’t take several minutes. Remember that, unless you are the keynote speaker, you weren’t invited to give monologues anyway – listening is the most important part of communication in terms of building relationships. (Check out this week’s Video of the Week for more on that.) Have a few conversation starters ready – “are you taking any time off over the holidays?” is a good one because it enables you to get to know the person – where he or she is from and about their family traditions. Or, go with the tried and true: Remember the acronym F.O.R.M., which stands for Family or From, Occupation, Recreation, and Motivation. When you’re stumped at a networking event, you can go back to the letters of F.O.R.M. by asking where the person is from, about their occupation (What do you do? What do you like about your job? How did you end up in [that field]?) Next, you can move to recreation: What do you like to do for fun over the holidays? For motivation, you can ask what they’re looking forward to in 2018. Be sure to leave at an appropriate time. You don’t want to be the last person at the event, or make it seem like you left early for a better offer. If you’re leaving early, thank the host when you arrive, and then leave gracefully when you need to. And know your energy level – if after a long day at work and an hour at an event, you know you will have trouble being at your best, there’s no shame in ducking out and calling it a night. If, on the other hand, you’re an extrovert who gains energy from spending time with other people, you might want to spend as much time as you can at an event. Again, just be sure you aren’t among the last people at an event long after the clean up has begun. Finally, follow up with the people you’ve met via email, LinkedIn connection, or however you normally prefer. If you go to an event to meet people and deepen connections, that won’t happen if you toss the business cards in that pile on your desk. Seize the chance to set up coffee or lunch in the New Year now, while everyone’s calendars are wide open. Then pat yourself on the back for making the most of the opportunity.